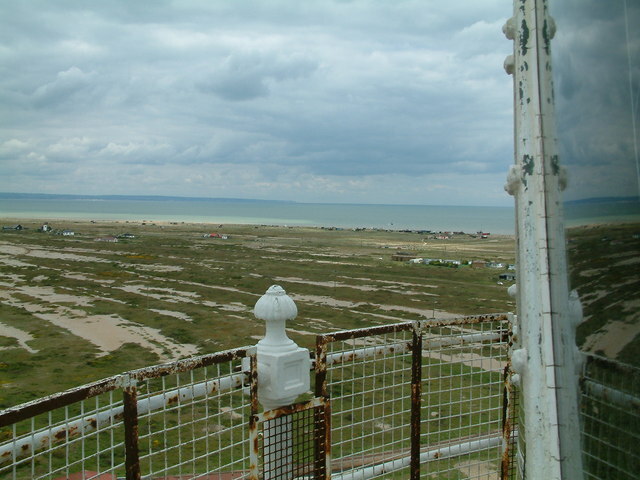 The 150ft high old lighthouse, known as "The High Light Tower", was the fourth to be built at Dungeness. It was opened by the then Prince of Wales (later George V) in 1904, it remained operational until 1960. 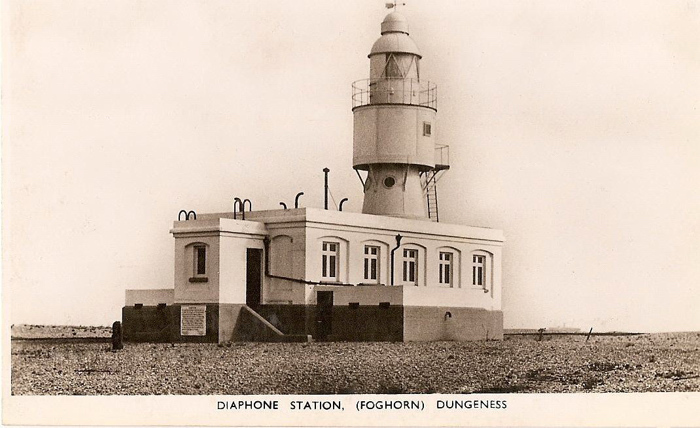 Creation of the nearby Dungeness Power Station meant that the warning light could no longer be seen in some parts of the Channel and this led to the construction of a new lighthouse located nearer to the water and which opened in 1961. Over time there has been a succession of lighthouses at Dungeness. Currently two are standing an old one built in 1904 and a later one built in 1961. We have another location guide on the Dungeness New Lighthouse as well as one looking at the wildlife and area of Dungeness. This Location guide covers the 1904 lighthouse and the history of this and what came before. Dungeness Lighthouse marks the end of the peninsula and is also an important way mark and reference for vessels navigating the Dover Straits. There are enormous flats of sand and shingle which has been a hazard to shipping for hundreds of years at the most southernmost point of Kent, where Dungeness is located. 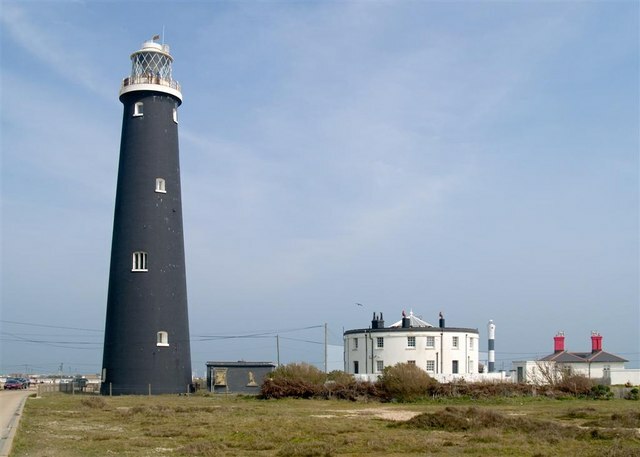 A lighthouse at Dungeness was first mentioned around 1600 when Trinity House opposed a proposal for a light at Dungeness Point and turned down an invitation of the King's Privy Council to erect one. However the idea had been put forward by Sir Edward Howard or Hayman, who held a Court appointment, who pressed for one and his application met with success, Trinity House withdrew its opposition, and Sir Edward Howard received a patent in August 1615 from King James I. The first tower was made of wood and was 35ft high with an open coal fire and was empowered to levy tolls of one penny per ton from all ships passing it during the next 40 years. While in concept this would have proved a financial success, like many other areas collecting the dues was extremely difficult, and it may be that he was more interested in the existence of a light than the business side. We know that Sir Edward made over his rights to William Lamplough, Clerk of the Royal Kitchen, who enlisted the help of Customs officials to collect the money at ports. This roused the indignation of ship owners who routinely avoided paying the charges, considering them voluntary, and they joined forces eagerly with Trinity House in 1621 in promoting a Bill to suppress the lighthouse as "a nuisance to navigation" because of its poor light. Candles had replaced the original coal fire, doubtless from the difficulty in transporting coal to such an out of the way spot. Parliament saw no advantage in taking on the King's grantee, but warned Lamplough that a better light must be shown. Opposition to the lighthouse did not stop with the improvement in the light and the Corporation of Rye, remembering that the original idea of a lighthouse at Dungeness emanated from a townsman of Rye, attempted to acquire the lighthouse for itself. It attempted to get an Act passed to grab this venture and give it to the Mayor and Jurats of Rye, the claimed motivation being that the surplus profits could go towards the reparation of their harbour. This Bill, was also not successful and Lamplough's patent continued in force. There was by 1635 a tower in existence as it was then pulled down and a new one erected. The sea by this time had receded further and seamen complained about the distance of the lighthouse from the water's edge, so in 1635 the patentee pulled down the existing tower and built a more substantial tower with a coal fire nearer to the Point. This time made of brick 110ft high. 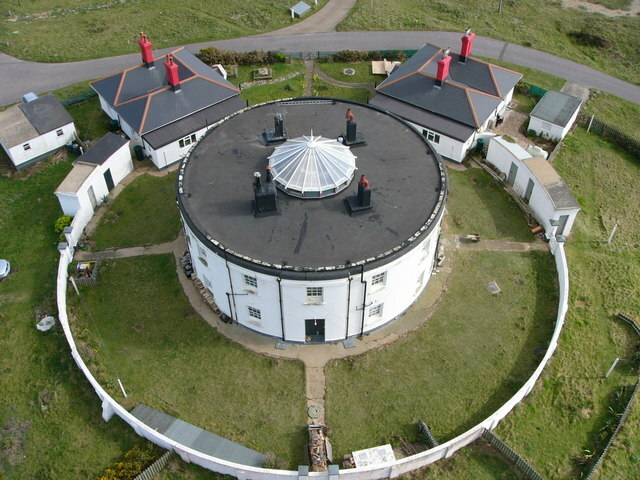 From 1647 to 1660, during the short-lived Commonwealth, a Commission took over the lighthouse work of Trinity House, because of its Royalist sympathies, and about 1655, for the same reason, the patentee of Dungeness lost ownership of the lighthouse, which caused great difficulties afterwards as to ownership. The new patentee was threatened by the Earl of Thanet, then the ground landlord, with pulling down the structure because of non-payment of rent. The patentee did not pay, but instead appealed to England's Protectorate who considered that it was not a fitting state of affairs that "the safety of many lives and the State's should be left to the will of the Earl of Thanet" and he granted the owner protection. 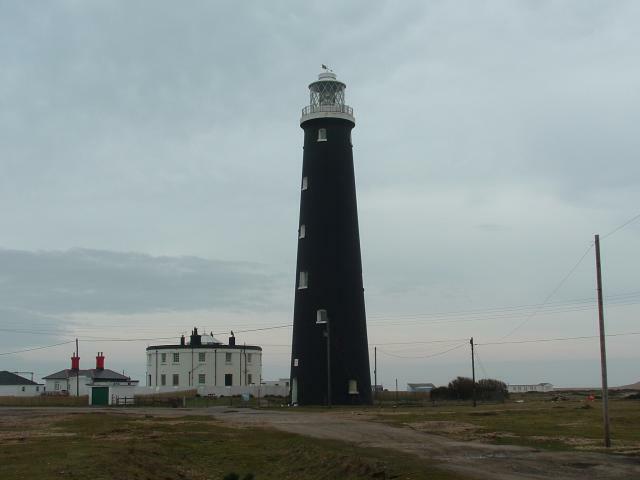 After the restoration confusion arose over the title to Dungeness Light. The former owner had forfeited his right to it for adhering to the Crown, and now with the Crown once more in power the "Commonwealth" owner would not leave, alleging a title by purchase. The quality of the light once again came under review and in 1668 Trinity House summoned the patentee to appear before it and insisted that he must provide better illumination. A coal fire continued to light Dungeness in 1746, but the position of the lighthouse was complained of as being misleading as the sea had yet again receded, leaving the tower again far from the water's edge. In 1792 Samuel Wyatt built a tower of the same design as Smeaton's Tower lighthouse on Eddyston. It was about 116ft or 35 metres high, and this was in existence for over 100 years. Eighteen sperm oil lamps took the place of the coal fire. Robert Stevenson, when inspecting the lighthouse in 1818, found parabolic reflectors in use which had been obtained from Howard, in Old Street, London, in 1802, a rival firm to George Robinson, then chief suppliers of parabolic reflectors to Trinity House. 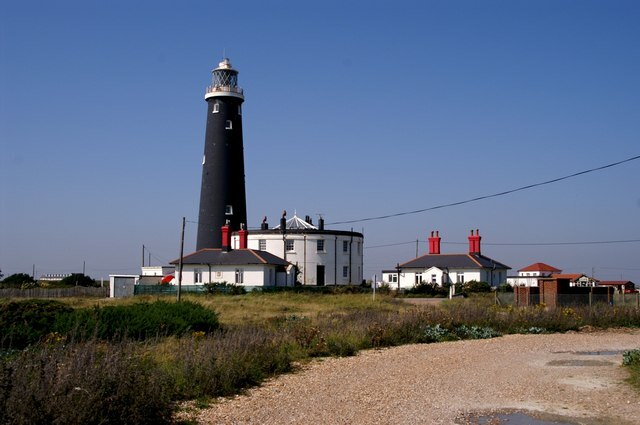 In 1862, Dungeness Lighthouse became one of the first lighthouses to be illuminated by electric light. However this form of power was superseded by a more efficient means, given the technology available at that time, a huge oil lamp of 850 candle power surrounded by glass prisms which increased the illuminating power by a hundredfold. At this time the outer wall of the tower was painted black with a white band to render it more visible in daylight. 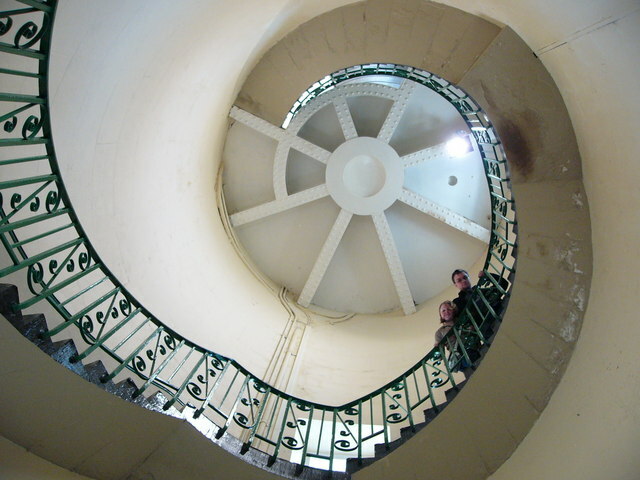 Quarters for the lighthouse keepers were built in a circular form around the base of Wyatt’s tower. Although the tower was taken down in 1904 these quarters are still in existence as is the base of this tower. Towards the end of the 19th Century the shingle bank had increased to such an extent that an additional smaller Low Light became necessary and was placed near the waters edge. A siren-type foghorn, was housed in the same building. I can't find much on this, presumably it was not required after 1904, so what happened to the building, this area has a lot of old shed and storage type buildings, so perhaps logically we should find this hiding somewhere, with a new use. From internet research, the only potential candidate I can identify is a chapel building sitting within the right area, it appears about the right size and have had 5 windows down the side. Take a look at the Geograph image. You can guess what happened next, the sea continued its recession, and a new lighthouse was needed. In 1901, Messrs. Pattrick & Co. of London, began to build a new lighthouse. This circular brick structure, known as the High Light Tower, was 150ft or 43 metres high and 11 metres in diameter at ground level, was completed early in 1904, and was first lighted on the 31st March in that year. 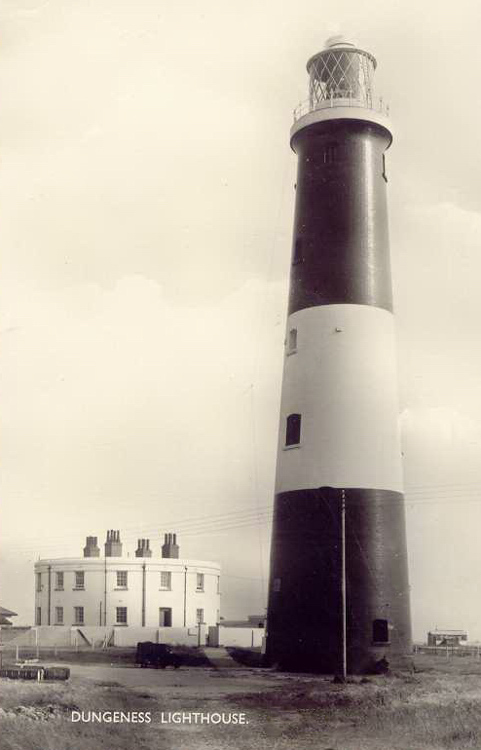 The tower was painted externally in black and white bands so that it formed a beacon recognisable by mariners during daylight. 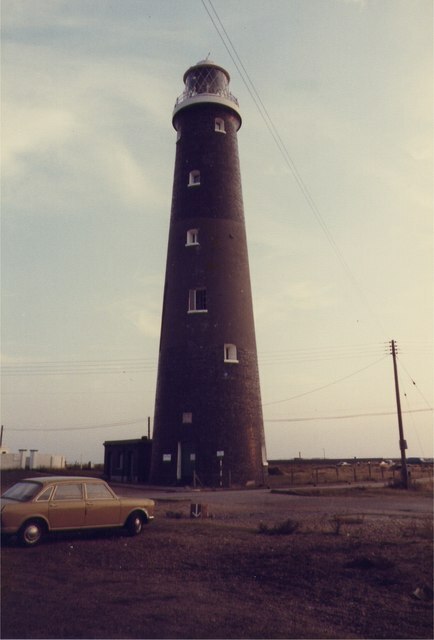 This tower still remains at Dungeness and can be seen today, although no longer owned by Trinity House. Old postcards and other pictures show this as a black tower with a wide white band around, although the photograph on the right is said to have been taken in 1984 and does not show the white band. The 1904 lighthouse now stands more than 500 metres from High Water Mark. Its navigational light was obscured by the nuclear Power Station, erected approximately a quarter of a mile to the west of the lighthouse. This necessitated the placing of another light in a cylindrical tower 450 metres to the east incorporating an electric fog signal. 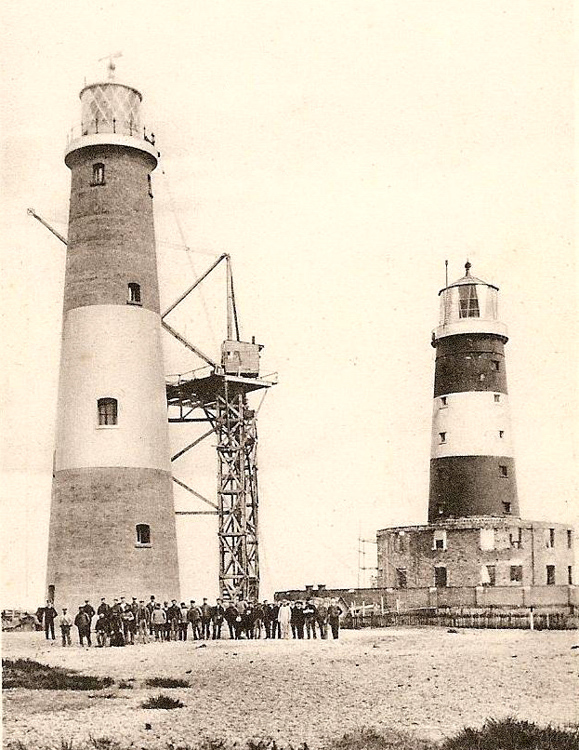 This old photograph above taken in 1904 shows, what we call the old lighthouse, just built, while next to it standing within the accommodation ring is the smaller 1792 lighthouse. The accommodation block also appears to be being renovated, or it could be the first part of the removal of the earlier lighthouse. See also the crane used to get the parts up to complete the lighthouse. Once built we see the completed lighthouse and accommodation ring now with the older lighthouse removed. This and the two other old photos above are from the Camera Images GBPictures archive. now called the old lighthouse. The new lighthouse which was officially opened by H.R.H. The Duke of Gloucester, the former Master of Trinity House, was brought into operation on 20th November, 1961. The tower which rises from a white concrete base in the form of a spiral ramp, is capable of automatic operation and was the first one of its kind to incorporate the Xenon electric arc lamp as a source of illumination. It is constructed of pre-cast concrete rings 1.5 metres high, 15cm thick and 3.6 metres in diameter, fitted one above the other, and has black and white bands which are impregnated into the concrete. See more on this on the location guide on it at Dungeness New Lighthouse. The old lighthouse became a tourist attraction and museum. The building has been used as a film set by Ken Russell amongst others, and will shortly feature in a BBC episode of Inspector Lynley. The old lighthouse is now open as a tourist attraction see below. From M20: Take J10 onto the A2070 towards Brenzett and Lydd airport. After 12 miles, turn left at the roundabout and join the A259. After 4 miles turn right onto the B2075 sign posted for Lydd. Immediately after bridge, take left hand fork. Turn left at roundabout onto Dungeness Road, continue for 4 miles. Turn right into Dungeness and the Old Lighthouse is at the end of the road. From Folkestone: Follow the A259 and turn left at New Romney traffic lights onto the B2071 (Station Road). At the T junction turn right. Follow the road for 5 miles, past the Pilot Inn. Turn left into Dungeness and the Old Lighthouse is at the end of the road. From Hastings and Rye: Take the A259 towards New Romney. At the roundabout turn right. After 4 miles turn right onto the B2075 signposted for Lydd. Immediately after the bridge take left hand fork. Turn left at roundabout onto Dungeness Road, continue for 4 miles. Turn right into Dungeness and the Old Lighthouse is at the end of the road.